One of the mostly highly anticipated new shows coming up doesn’t actually have a premiere date yet, but that hasn’t stopped The CW from doling out the goodies ahead of time. The latest installment of the CW’s DC superhero universe Legends of Tomorrow is being set up ahead of time thanks to the parent shows The Flash and Arrow (that premiered their second and fourth seasons back in October). Of course, Flash and Arrow have their own plots to develop before the Flarrow crossover that will bring a bunch of the TV DC characters together for one event. It’s been up to viewers to find the nuggets of dropped Legends hints on The Flash and Arrow. Fortunately, we know enough about the spinoff to figure out what might matter for the series… and what might not. Check out five things about Legends of Tomorrow that we recently learned on The Flash and Arrow! One of the most puzzling bits of news to drop about Legends was that Flash villain Leonard Snart – professionally known as Captain Cold – would be one of the titular legends. While always at least somewhat morally grey with his focus on stealing rather than killing, Captain Cold has been a major threat to Barry Allen from early on in the first season of The Flash. The second season has shown us a different side of Captain Cold. Evidently, his descent into villainy was not born out of any inherent enterprising evil. Rather, Leonard became Captain Cold due to some early conditioning from his abusive father. His latest team-up of father and son only came about because his father implanted a bomb in the neck of his daughter and Leonard's beloved sister. Leonard is currently in jail, but Barry left him with some hopeful words that will likely see him switching his allegiances from the side of pretty bad to the side of mostly good with time to spare for Legends. Another puzzling spoiler about Legends was the fact that Victor Garber’s Martin Stein was going to be a key member of the team of good guys heading to the spinoff. One half of the Firestorm identity, Stein was a natural pick to make a heroic jump from Flash to Legends, if only his athletic other half was along for the ride. 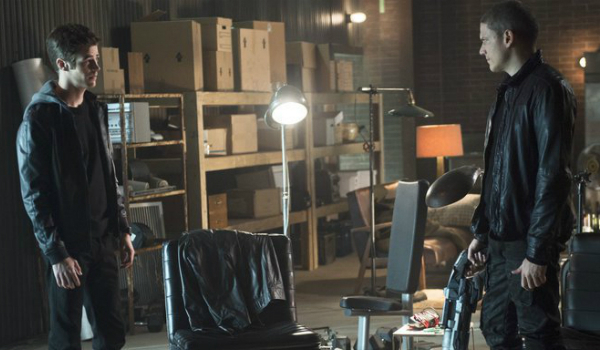 The first look at Legends notably showed Stein but gave no sign of Robbie Amell’s Ronnie Raymond. Well, the Season 2 premiere of The Flash told us why: Ronnie Raymond is apparently dead. The fourth episode gave us our first onscreen evidence that Firestorm did not die with Ronnie. Rather, Team Flash managed to bond Stein with new character Jax Jackson to create a reborn Firstorm 2.0. Stein can officially be a member of the Legends team as more than just a scientific advisor. 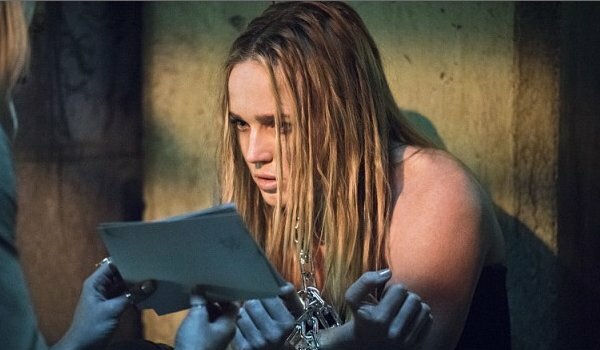 One of the earliest tidbits released about Legends of Tomorrow was that Caity Lotz of Arrow fame would be joining the cast. As Lotz’ Sara Lance - professionally known as a Black Canary - had been unceremoniously murdered, however, there was some question of the character Lotz would be playing on Legends. As it turns out, she will still be in the role of Sara. This time around, though, she'll be White Canary. The first look at Legends did show Sara bursting out of a Lazarus Pit looking rather fetching for a woman who had been dead for a year, but we didn’t get much else about who – or perhaps what – this Sara would would be. Recently, Arrow gave us pretty definitive on-screen proof that the Sara who came out of the Pit is not the Sara who died in Season 3. With the poor woman currently soulless and twisted to the extent that keeping her alive was distasteful even to evil supervillain Damien Darhk, it’s obvious that whatever healing Sara will go through before Legends will not wholly bring back who she was. One of the least surprising early tidbits released about Legends was that Brandon Routh’s Ray Palmer would be a headliner. Palmer had felt like a character who could get his own spinoff from his first moments on screen, and it was only fitting that he was shipped off of Arrow by the end of the third season. The end of that third season just so happened to see a floor of a building explode into his face after some ill-advised tinkering, and Season 4 has showed us that Ray Palmer is officially considered dead by all. 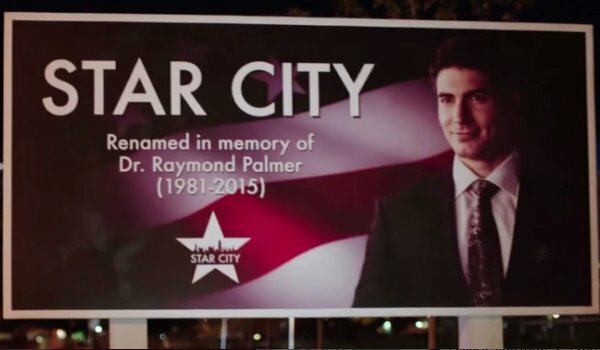 Ray Palmer being "officially" dead at this point makes the idea of him leaving his company behind to join the team at Legends far more logical. 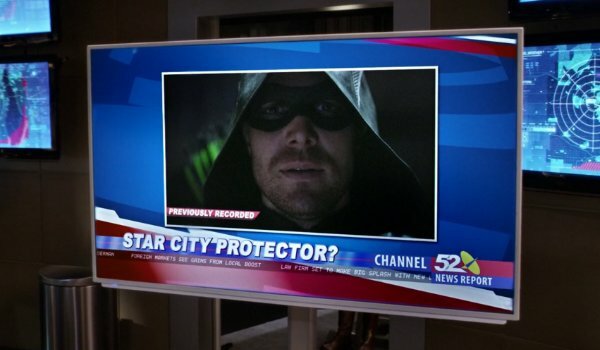 Felicity Smoak is handling the operations at Palmer Tech, and Starling did make the change to Star City that he’d been pitching since the Season 3 premiere. There have been some questions regarding whether any at Palmer Tech could or will suspect that the boss survived the blast, but Palmer's official “death” gives him an ideal out for skipping off to the spinoff. Season 2 of The Flash and Season 4 of Arrow have seriously raised the stakes for respective heroes Barry Allen and Oliver Queen. Both leading men have had plenty of business to deal with, handling bad guys on their respecitve homefronts since the season premieres. Sure, Barry Allen may already be somewhat familiar with time travel, and Oliver may have been the top name in the superhero biz for years before Team Flash even came together, but the men's plates are already full. If supervillain Vandal Savage is to be as evil and formidable as Legends news has reported, Barry and Oliver will need some serious assistance. There’s always been some question of whether or not Legends of Tomorrow will really feel like a necessary addition to the CW’s superhero universe, and the struggles of Barry and Oliver so far in Seasons 2 and 4 have shown that they’ll absolutely be needing lots of help to conceivably deal with a new time-traveling threat as well as the dangers to their own cities. 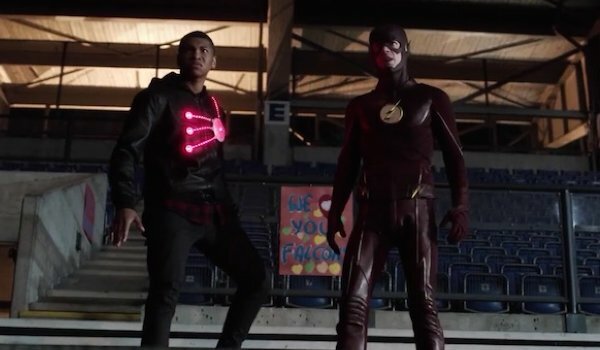 The Flash and Arrow air at 8 p.m. on Tuesday and Wednesday, respective. Legends of Tomorrow is set to premiere in 2016.